Steam Whistle is home to not one but three beautiful and unique event spaces that accommodate groups of 12 to 750 people. 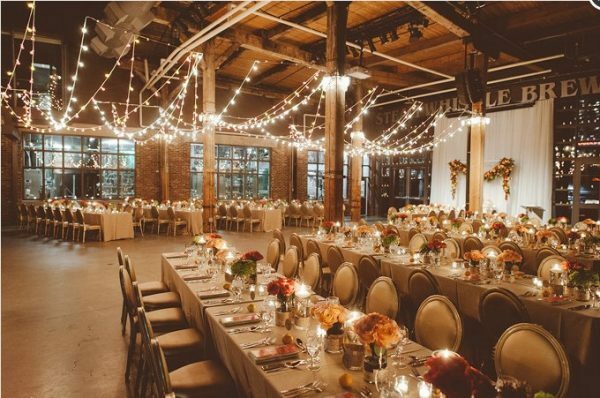 With a bustling yet warm and inviting atmosphere, the historic John St. Roundhouse makes a perfect venue for events of any kind. 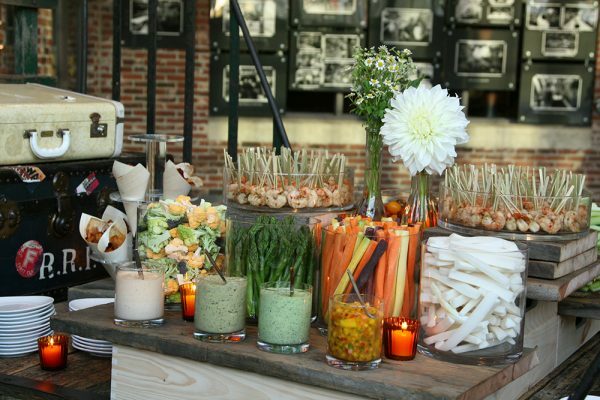 This month we are very excited to feature Steam Whistle’s newest caterers, our friends at L-eat catering! It was a pleasure to sit down with L-eat catering’s founder and owner, Tony Loschiavo for a Q & A to learn more about their wonderful company. L-eat catering’s core values are derived from consisted quality and value, excellent food, detail oriented, personalized service, and flexibility. Each and every staff member are friendly, motivated, and professional. They share common goals which contribute to their success. L-eat’s staff is one big family who look out for one another and work as a team. However, their core values don’t stop at their family oriented company culture. L-eat follows an environmentally friendly approach in its day to day business by using local, fresh and seasonal ingredients, recycling and composting, and placing precedence on energy saving and waste reduction policies. In addition to this, L-eat is unique because they have their very own 3,000 sq. ft. urban garden to grow their own heirloom vegetables to prepare spectacular dishes for events and their restaurant. L-eat catering started in 1983 as a sandwich delivery business and has grown into a multi million-dollar catering and restaurant business today. They’re restaurant ‘Paese’ opened in 1989 and is attached to their head office with 80 seats on the ground floor and two second floor private dining rooms which can be used for private parties, meetings, etc. If you have a pallet for quality, homemade Italian (with a Canadian twist) and top of the line food and wine pairings, we urge you to give them a visit and see for yourself! How long has L-eat Catering been open for? Tony: L-eat catering opened in 1983 and initially started out as a sandwich delivery business in downtown Toronto. We were driving around in a 1973 Volkswagen beetle that was powder blue and dressed in tuxedos. The drivers were delivering sandwiches to the high end hair salons. How would you describe L-eat catering and the experience you provide? Tony: L-eat catering is a full service, off premise catering company. I know what sets us apart is our attention to detail and our level of customer service we provide. Every time we do an event our client only deals with one person from beginning to end through the entire process. Right from the initial phone call through the menu planning stage, linen colors, and rental equipment. That person is also on site with them at the event. I know this is unique in the industry. If you had to choose, what would your most popular dish be? Tony: We’ve had really good success with our Steam Whistle braised beef short ribs. What we do is put the Steam Whistle beer in a bag, with a little bit of salt and pepper, bay leaf, touch of roasted garlic oil and a hint of chili pepper – we then sous-vide them for 72 hours at 135 degrees, sear them and serve them with a roasted root vegetable mash and green vegetables. That’s been very popular for us, and we’ve actually served it at Steam Whistle before which was a huge success! What on your menu would you say pairs exceptionally well with Steam Whistle? Tony: Well we serve pizza at our restaurant! Beer and pizza go hand in hand! 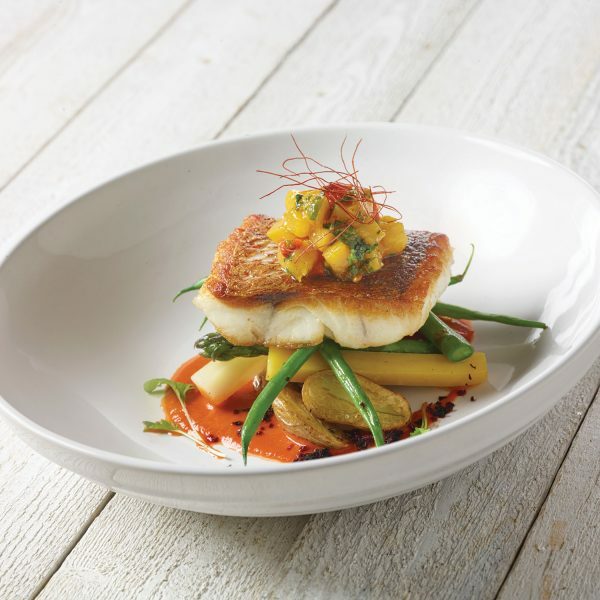 The restaurant’s having great success, especially with warm weather approaching. We actually tried a couple interesting combinations with Steam Whistle, where we used the beer in conjunction with raw fish – ceviche style! We mix lime with the beer, and we make gravlax and crudo with it. It’s been a really good combination. We serve it with corn chips, and also potato latkes which have been a hit! Anything potato based goes very well with beer. We also do a hors d’oeuvre that is a breaded chicken wing chop and we like to serve it with a Steam Whistle beer shooter (in a shot glass). It’s exceptional! Before working with Steam Whistle, I did not experiment much with cooking with beer. I like to cook dishes that I haven’t cooked a million times, so this is very new and exciting for us! What excites you most about working with Steam Whistle? 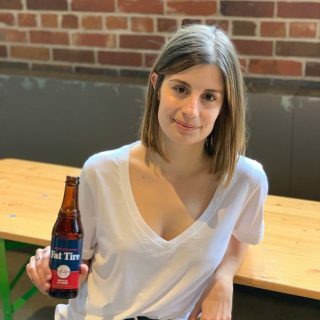 Tony: When we started working with the Steam Whistle events team, we found out fast that we have very similar company cultures. We’re all about the employees, safety, family oriented, putting the product first – whether it’s the food or the beverages. 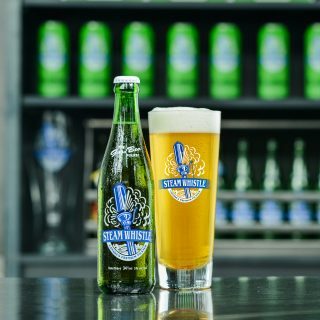 There’s a unique parallel between L-eat catering and Steam Whistle, completely different products, but same mind set. We also love the space at Steam Whistle and have very cool events there. What is your background? How did you get involved with L-eat catering? Tony: I’m a hospitality ‘lifer’. I started in the industry at the age of thirteen. I worked as a dishwasher, bus boy, waiter, cook, and I’m still in the hospitality industry. I’m the founder and owner of L-eat catering but my title is executive chef and sommelier for the company and I work very closely with my clients. Tony: Whatever makes people happy! For me the thing I love to cook for my loved ones is basically vegetables and fish. I think that I do a great job with vegetables, especially mushrooms. I’m a huge fan of cooking mushrooms, and I think that it’s undervalued that a mushroom can be brought to an incredible state if it’s handled properly. Mushrooms are one of my favorite things to cook, I know that sounds bizarre, but they are… and fish! And I like serving fish as raw as possible – raw, tartar, and ceviche. Even if I am cooking it I like to cook it as raw as possible. I personally think that a cold fish or a under cooked fish matches better with beverages than a fully cooked fish. There’s more flavor and a different texture. 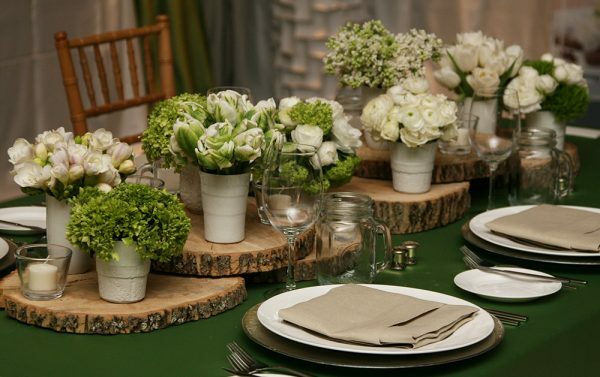 What type of events do you usually cater? Tony: We can cater every kind of event. We cater everything from corporate sandwiches right through to full service events. The ones that I think we do exceptionally well in are the more complicated, more intricate, the events are I think is where our team really shines. Anybody can take a sandwich order, but if a client wants to do something that’s kind of ‘off the hook’ such as an active food station where there needs to an element of decor and service, I think that’s where our team really comes together. So, the more complicated the event, the better we execute. 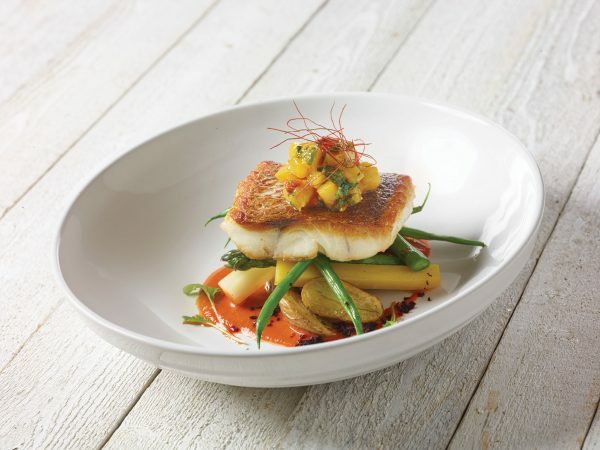 How does L-eat stand out in the catering industry? Tony: Within the industry I know that we have a reputation as the go to catering company from other caterers. Many of my friends have catering companies, I’m familiar with who they are, what they do, and we still get jobs through them that are not within their grasp (from an execution point of view). Anybody can make food, one thing that we do when training our staff is that a steak in catering is not ‘a steak’. A steak here is cooked here and served in our restaurant, whereas a steak in catering is cooked here and brought downtown, a steak in catering is not a steak, anybody can make food, it’s the logistics that make a catering company successful, and this is what sets L-eat apart from other companies. We have no problem with updating our catering equipment and infrastructure to help us cater efficiently offsite. Most memorable event you catered? Tony: I don’t think we catered one most memorable event but I probably can say in my thirty plus years of experience that I can narrow it down to about under twelve. We have some clients that have given us cart blanche on creating events for them from beginning to end where they in conjunction with us would pick a theme, and then they would invite 300 people and they’d give the rest to us. We have really enjoyed having the luxury to create themed events. One in particular that stands out to me is a Moroccan themed event, where a lot of the furniture including pillows and display pieces were all custom made just for the event – they didn’t come from event rental companies which is so rare and it was beautiful to see. We’ve done about half a dozen events for this specific client and they all were so unique and detail oriented. When we have clients like this, it is when we really shine. Our main internal mission statement is “quality without compromise”. This is derived from our relationship with our clients. We aren’t entirely focused on the business aspect of the catering event, it’s much more than that. It’s the repeat business aspect of the catering event. It’s making that client happy, but we don’t stop there – happy is one thing, we strive to make them giddy. If we can make them chuckle, and come out of their event and say “WOW” that’s what our ultimate goal is. We’re able to do this by our meetings with the client and how much information we gather from them to then incorporate within the event. That’s what our forte is, we gather great information and execute the event very well.